A WESTERN PRAIRIE BRIDES ROMANCE THAT BEGAN WITH LANTERN IN THE WINDOW. It’s 1896 on the Canadian prairies, and Betsy Tompkins wants to be a photographer. Western prairie women have two choices: marry, and be a wife, or stay single, and be a spinster. Betsy knows the spinster option is the only one for her. She’s deaf, and hearing men live in a different world. Also, wives simply don’t have careers–they cook, clean, and raise children. ˃˃˃ SERGEANT JAMES MACLEOD OF THE NORTH WEST MOUNTED HAS A DARK AND TROUBLING SECRET. Leaving his native Scotland was a painful and life changing choice, and he feels he can’t go back. He’s determined to make a new life for himself on the Canadian prairies. He’d like a wife and a family, but eligible women are scarce, and he’s an educated man. He’s just doing his job when he meets Betsy, but suddenly he sees his future in a whole new light. He wants her to be his bride. ˃˃˃ BETSY CAN’T BELIEVE THAT JAMES KNOWS HOW TO COMMUNICATE WITH HER. But he’s still a hearing man, sign language or not. And in spite of her growing feelings for James, there’s her life long desire for a career to consider. James must honor his commitment to keep the peace on the wild Canadian prairie, even though it takes him far away from Betsy and endangers his very life. But he finds a friend who’ll help him bring peace to his own troubled soul. The question is, will he lose Betsy in the process? 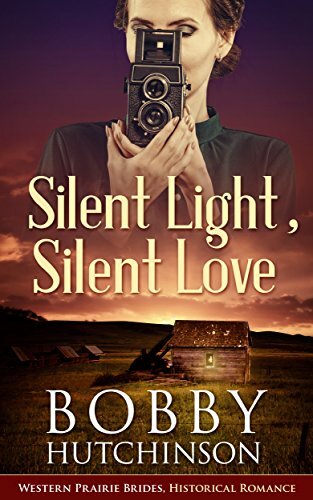 SILENT LIGHT, SILENT LOVE, is a follow up to LANTERN IN THE WINDOW, a western historical story of a mail order bride. Silent Light, Silent Love is about Betsy, a girl who happens to be deaf. I have a deaf son and two deaf step-daughters, and I love their unique views on life. It was a delight to write about Betsy.